Shave, Wax, Laser or Tweeze – What is the Best Option for You? With so many hair removal options available these days, we girls often feel confused about which one to go for. Well, why should you worry when Beautyglimpse is there? 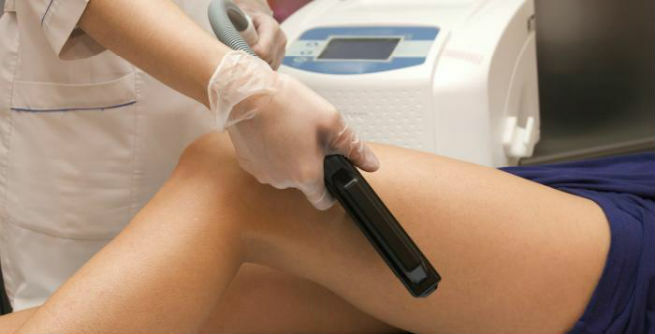 We have come up with a beginners guide for choosing the best hair removal method. Know about shaving, waxing, tweezing and laser procedure and find out the best one for yourself. a) Overview: Shaving is the most traditional, easy, fast and inexpensive way of hair removal in which the regular or electric razor is used for removing the hairs sticking out of the follicular openings. b) Target Areas: Under-arms and legs. Shaving the bikini area is not recommended. Also, never ever shave your face (i.e. eyebrows, upper lip, and chin). c) Pain Factor: Almost pain-free (unless and until you get nicks or razor burns). d) Frequency: Every 2 to 3 days, as the hair strands are not pulled out from the roots and only the projected parts are cut off. For the best results, you must use a sharp blade and a good shaving cream (body wash, liquid soap, body lotion, baby oil, hair conditioner, shea butter, etc. will also do). Make it a vital segment of your everyday bath routine. In order to avoid bumps and ingrown hairs, exfoliate the shaved areas with a soft bath towel right after taking the shower. a) Overview: Waxing is the most common hair removal method with semi-permanent results in which warm or cold wax is applied to the skin and a strip of cloth or paper is used to eliminate the hair strands at the base of the follicles. b) Target Areas: Each and every body part including the sensitive ones. c) Pain Factor: The very first attempt is always painful. However, the pain reduces after a few practices as the hair grows thinner gradually. d) Frequency: Every 1 to 2 months as the hair strands are pulled completely out from the roots. Let the hairs grow enough before taking the plunge. Do not use too hot wax as it may burn out your skin. You can opt for ‘sugaring’ (removing hair with an easy-to-wash mixture of sugar, lemon juice and water) as a viable alternative to at-home waxing. a) Overview: Laser hair removal is an expensive procedure in which a laser beam of short wave-length is applied to the unwanted hairs to destroy their follicles and limit their growth. You may need to attend 4 to 7 sessions each of 10 to 30 minutes and almost 80% hair can be removed in this way. b) Target Areas: Any part of the body. c) Pain Factor: Moderately painful (lesser than waxing). d) Frequency: Usually long-lasting. Frequency depends on the growth of hair, which varies from person to person. But yearly touch-ups are mandatory. Go for it only if you have a light skin with dark hair. Taking 1-2 Advils prior to undergoing the laser treatment will reduce the pain considerably. Find an expert professional or a licensed salon to avoid burns or scars during the process. a) Overview: Tweezing is an effective yet tedious hair removal method in which the hair strands are plucked out of the roots one at a time by using tweezers. It is simple and extremely cheap. b) Target Areas: eyebrows or other small areas. c) Pain Factor: Hurts initially. But as you get used to it, you feel no pain. d) Frequency: Anywhere between 2 to 6 days depending upon the hair cycle of the person. It is best suited for plucking out stray hairs. Grow the hairs long enough so that the tweezers can be used properly. Get good tweezers (pointed tips or slanted tips) for better control and perfect hair removal. Rubbing an ice cube or applying a topical numbing cream would help you get rid og the pain associated with the technique.